The Dragonfly ID app is a comprehensive and easy-to-use resource to find and identify dragonflies and damselflies across the US and Canada. 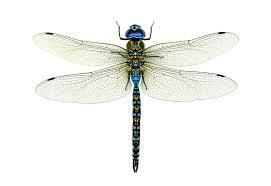 Geared towards both the avid dragonfly-watcher, and beginners, Dragonfly ID will help you find spots to look for dragonflies near you, help you identify the dragonflies and damselflies you see in the field, and learn more about the species you find. Rain gardens are shallow, vegetated basins that soak up rain. They look just like a normal garden, but are designed to collect storm water runoff from roofs, pavement, driveways, and patios. When it rains, the rain garden is filled with a few inches to 10-12 inches of water that slowly infiltrate into the ground, as opposed to running straight into a storm drain that will connect to streams, bays, and drinking water sources like groundwater. Compared to the same size area of normal lawn space, rain gardens allow up to 75% more water infiltration into the ground. In addition, rain gardens with healthy soils have the ability to break down pollutants such as nitrogen and phosphorus that are carried in runoff, keeping them out of the water that we end up using for ourselves. The best way to get clean water is to filter it through these healthy soils. Healthy soils contain things like plant roots, fungi, and bacteria that allow water to be filtered. The water becomes clean enough to drink within 2-3 feet of filtering through healthy soil. Storm water running off rooftops, sidewalks, driveways, and streets washes pollutants into nearby streams. As if that weren't bad enough, as storm water rushes over these hard-or impervious-surfaces, it picks up speed and force, causing local flooding and erosion. Impervious surfaces also keep rain water and snowmelt from seeping into the soil and recharging groundwater aquifers.